Summer 2018 rocked! Thank you all for checking us out. Here comes another winter, a perfect time to think about our dreams and the future. Nothing is better than time on the water. That is where we are most free! 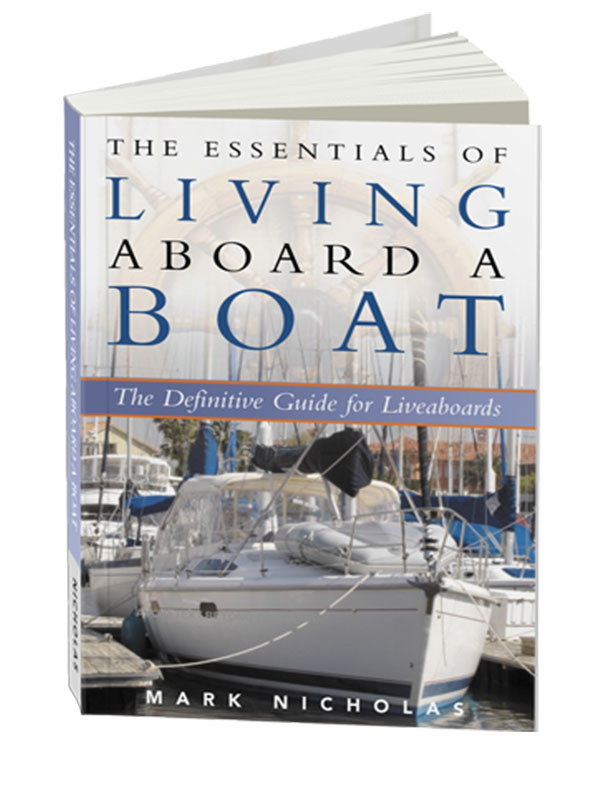 While all I can offer is 10% off of the list price (by contract) please buy living aboard right from this page. I’ll gladly sign any book. 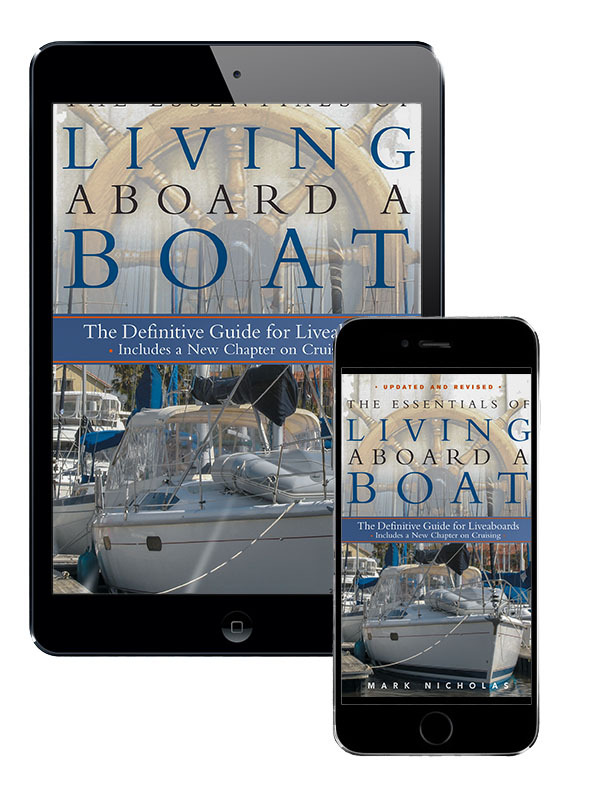 Also, unlike Kindle or Apple or any of the other special formats, all three formats, PDF, ePub format (for iPad, Nook and Sony devices – and more), and Kindle format are packaged in a single zip file. Please note… many devices such as the iPad do not open zip files – so you need a computer to unzip the file. If this is a problem, just email me after your purchase and I’ll send you the unzipped files. Thank you so much for your order! 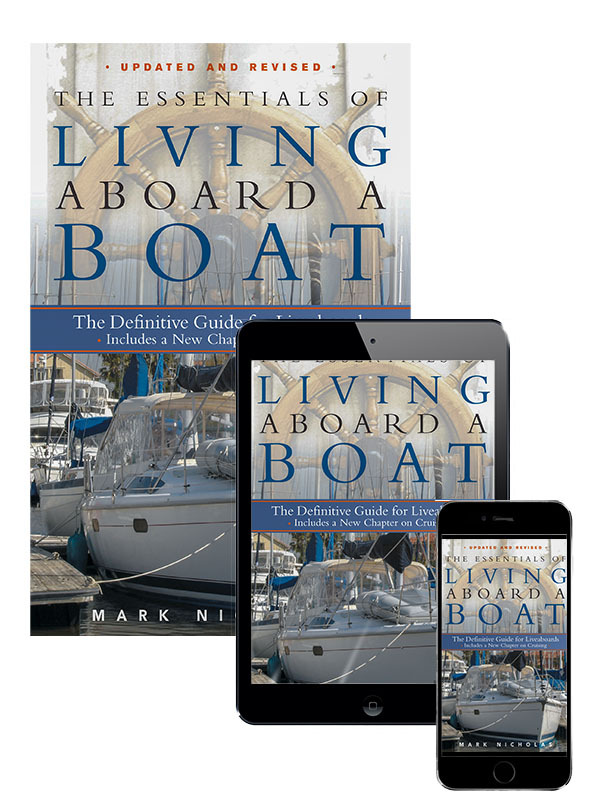 Essentials of Living Aboard a Boat combines real-world experience with the advice of other liveaboards, marina owners, technicians, boat manufacturers and advocates to detail the challenges and offer real advice for success. *Thanks very much!!! Email me (the author) anytime with any questions – I do respond!